Botanical name: Tanacetum vulgare L.
Synonomy: Chrysanthemum vulgare (L.) Bernh. Misc. : native to Eurasia; invasive in some areas. 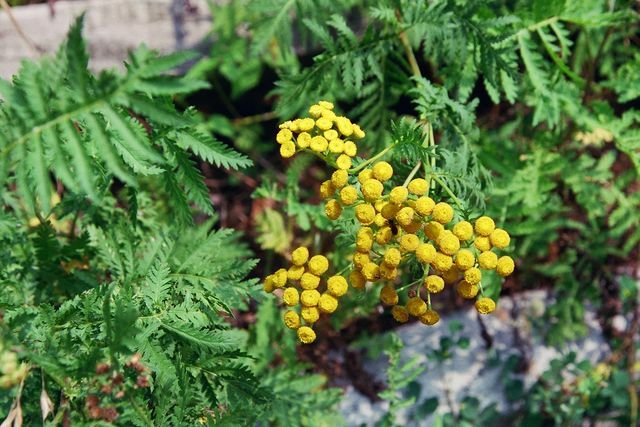 Tansy has been used in traditional ethnomedicine. 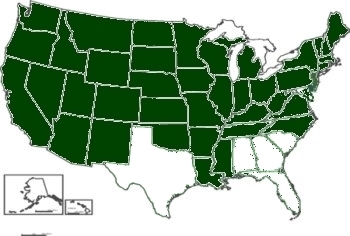 **USDA-NRCS PLANTS Database / Britton, N.L., and A. Brown. 1913. 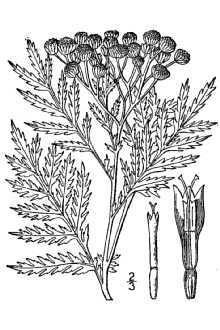 An illustrated flora of the northern United States, Canada and the British Possessions . Vol. 3: 522.